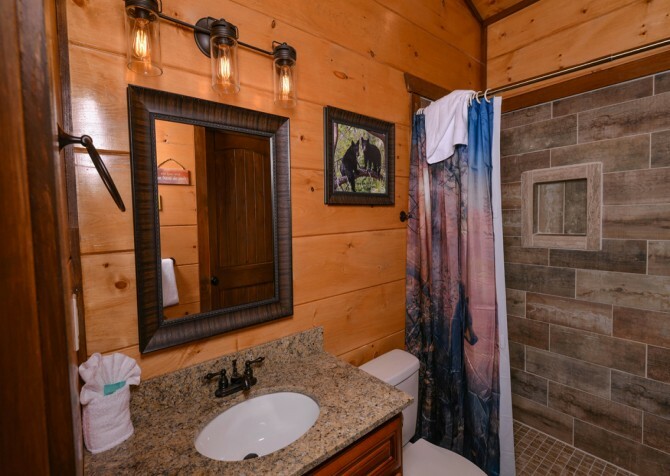 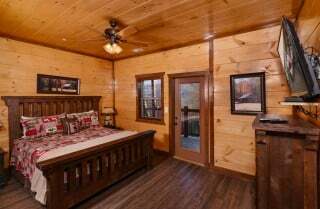 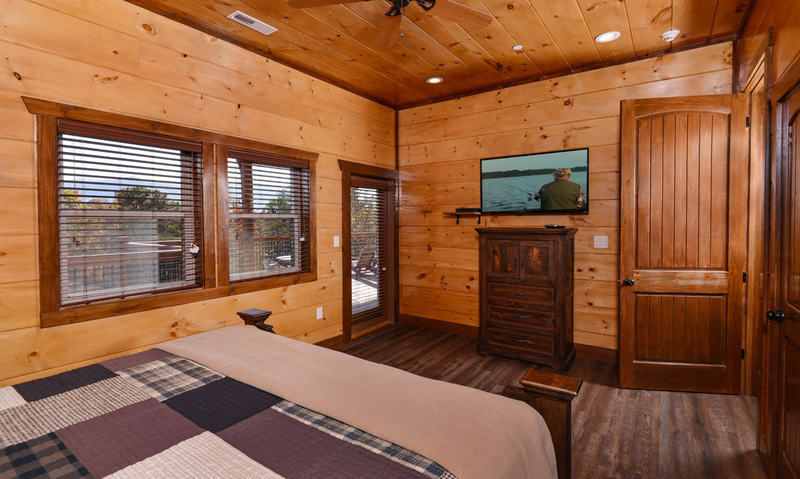 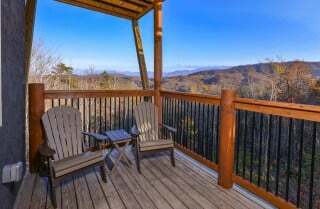 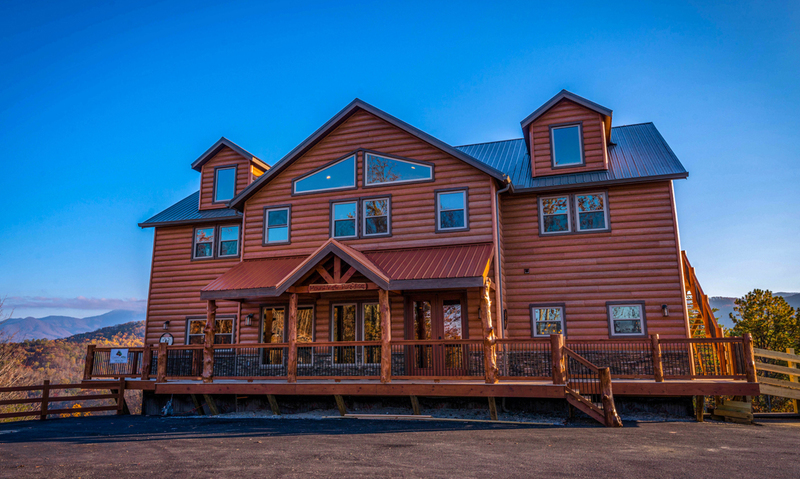 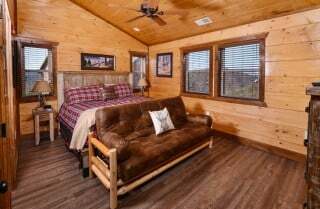 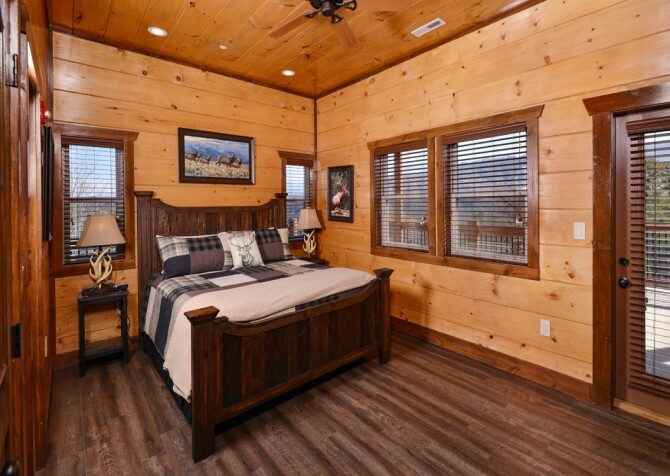 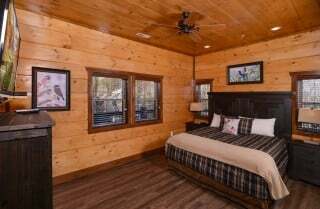 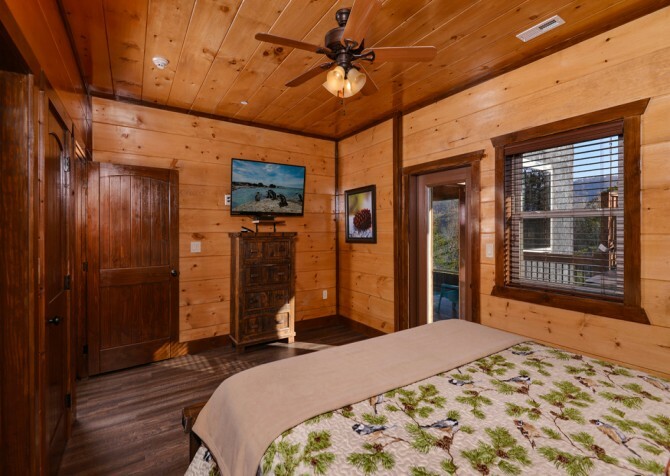 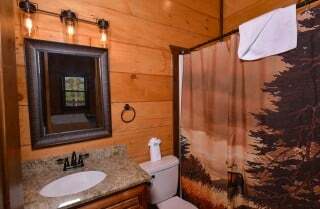 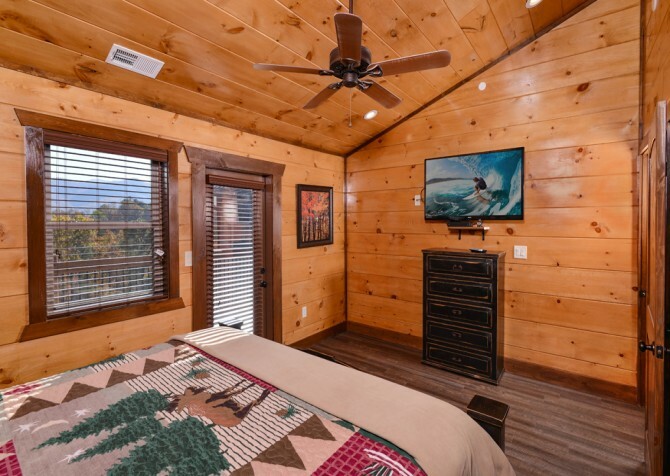 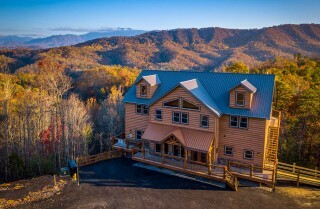 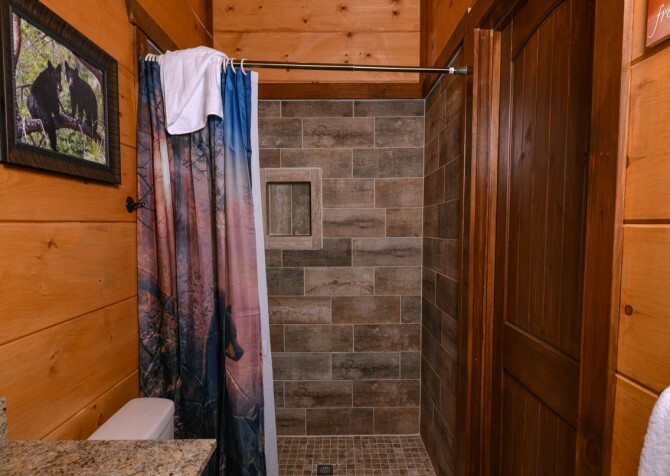 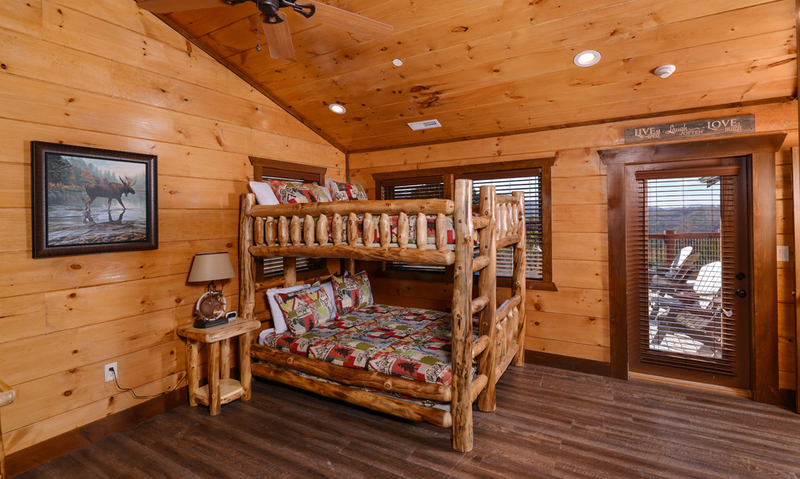 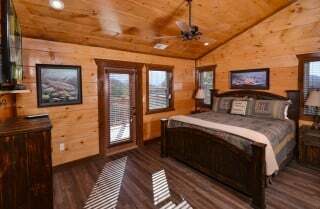 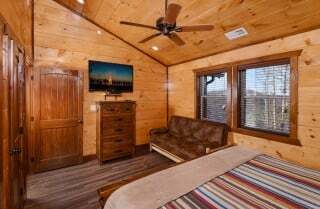 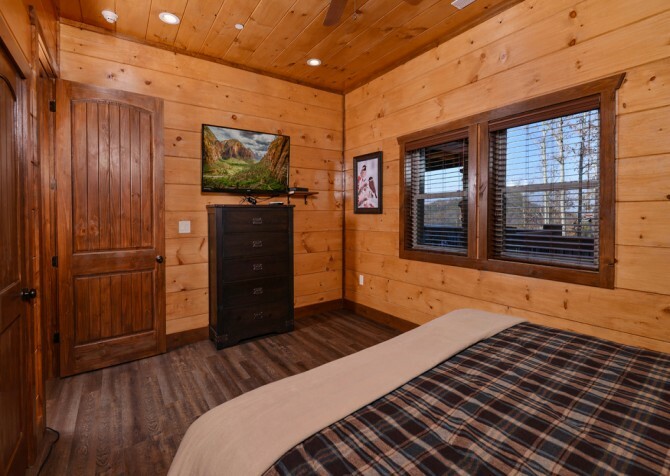 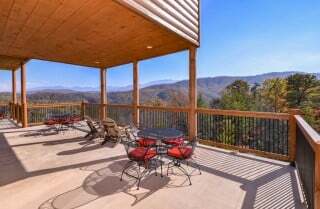 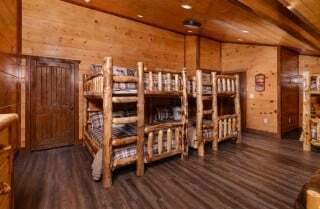 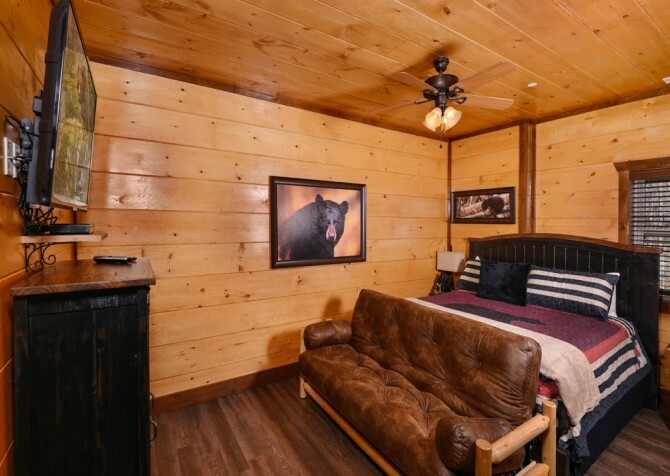 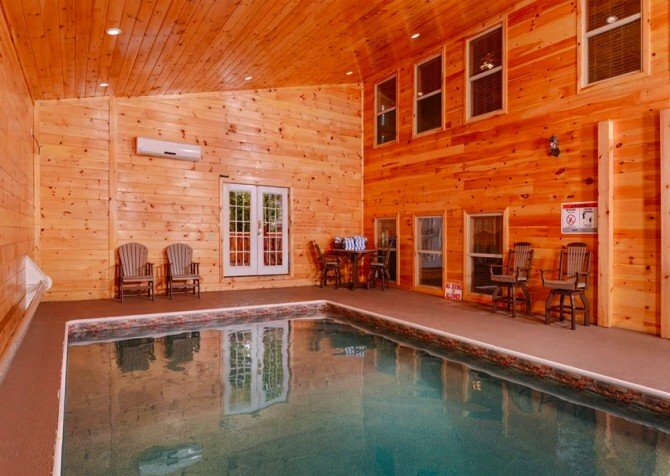 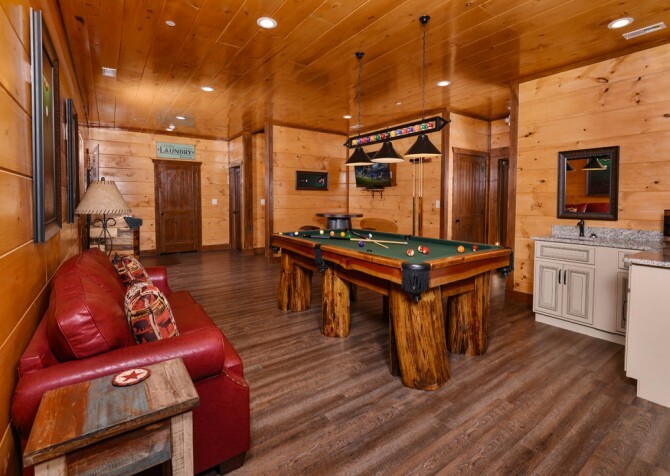 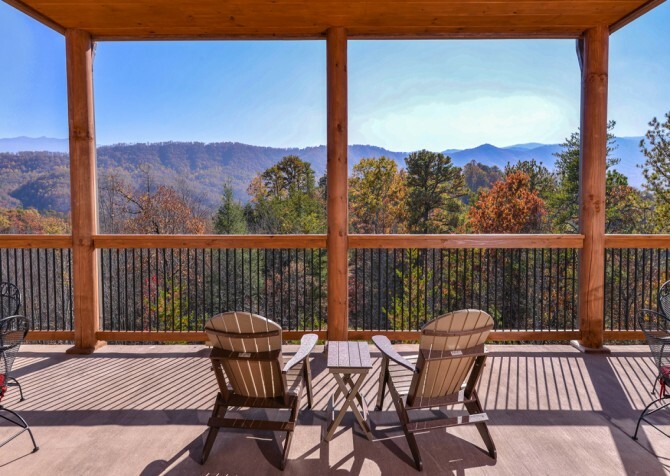 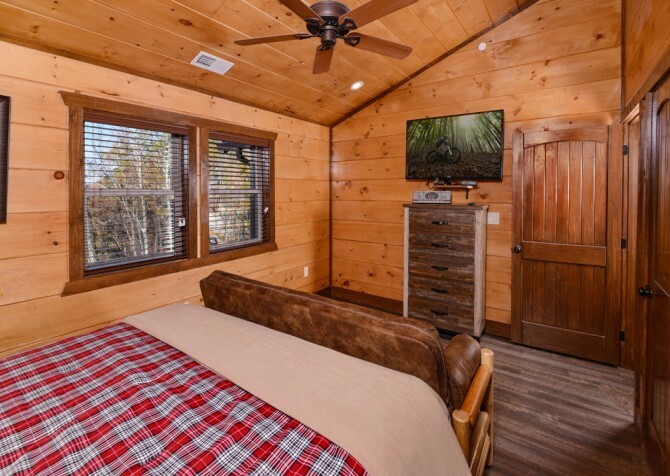 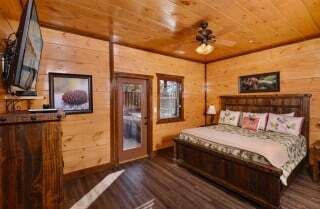 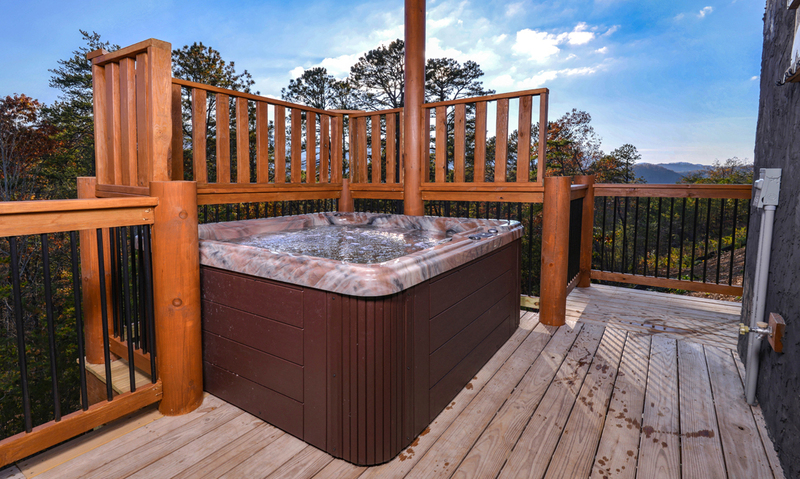 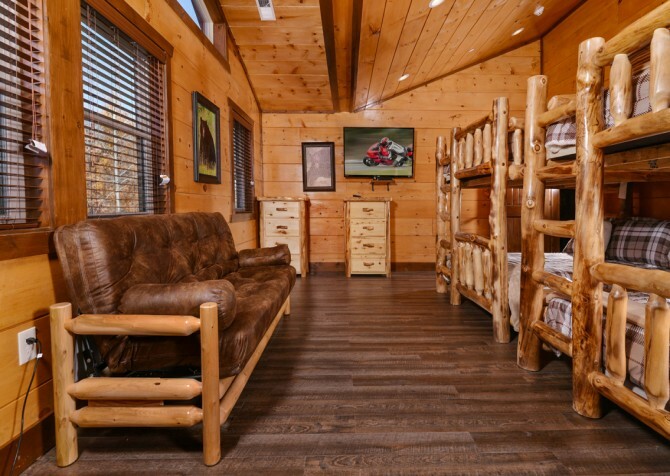 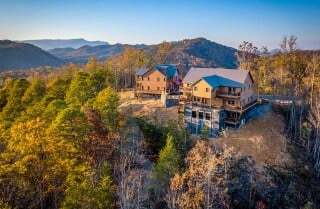 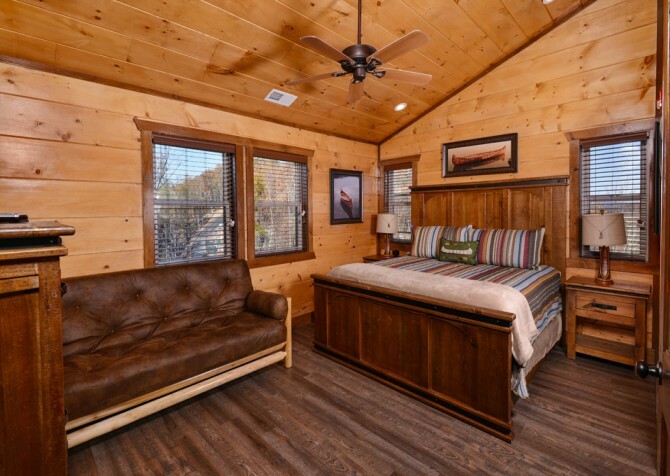 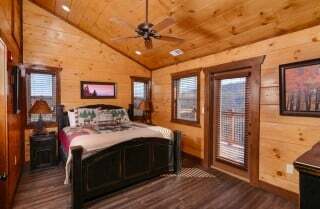 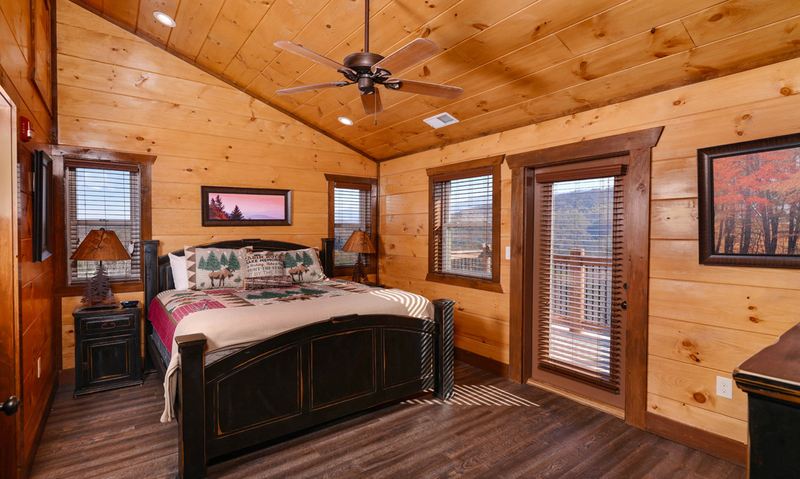 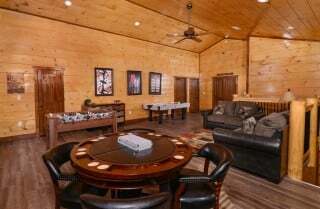 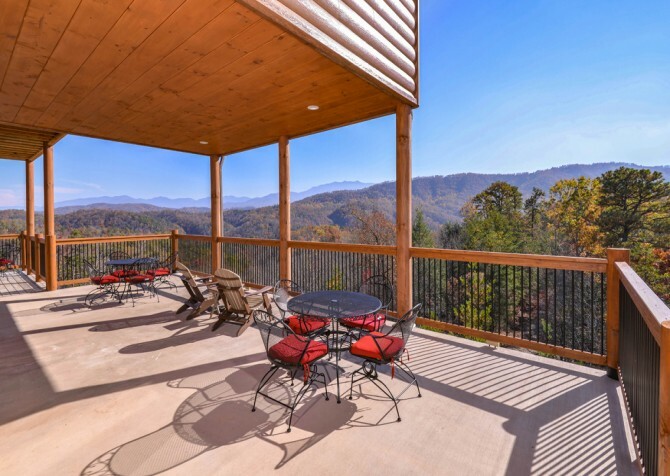 A gorgeous 12-bedroom, 12-(and 2 half) bathroom Pigeon Forge lodge for 54 is impressive all around: style, views, amenities, comfort, convenience, and space. 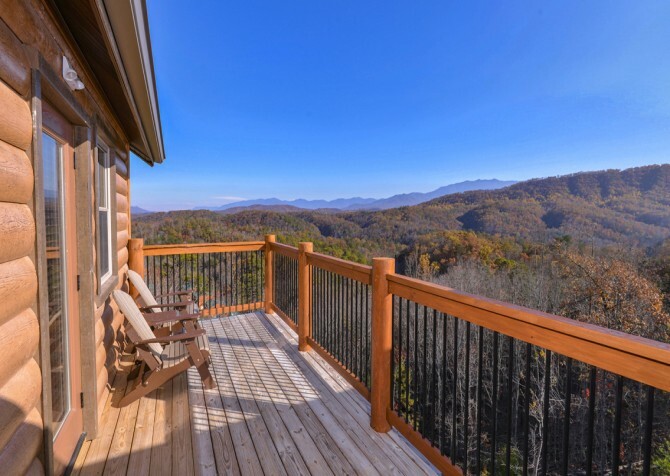 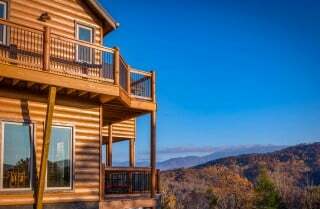 When you pull up to the luxurious log lodge, you’ll get a peek of the fantastic Smoky Mountain views waiting for you on the other side. 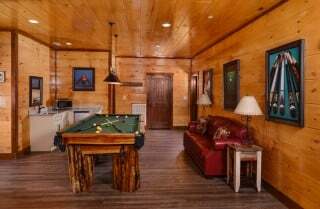 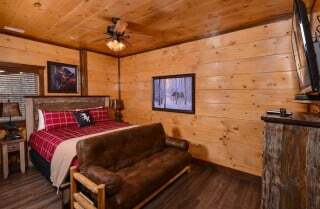 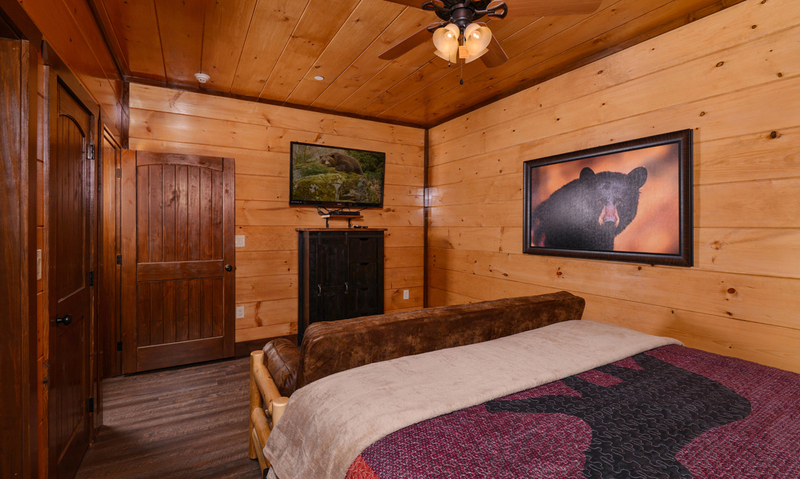 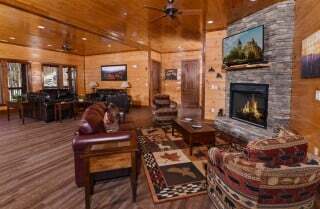 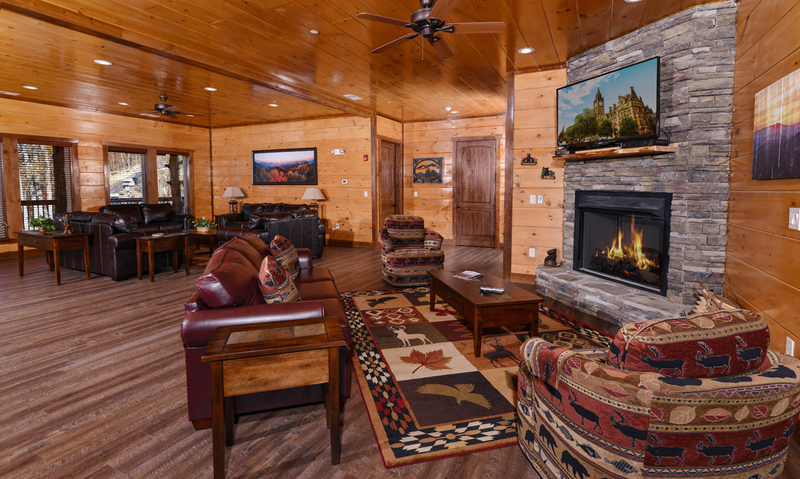 Log and iron features give you that rustic mountain feel, but amenities inside ensure your stay is far from roughing it. TVs in every bedroom, a pool table, relaxing rocking chairs, community pool access, easy parking on a flat driveway, a washer/dryer, big screen TVs…the list goes on and on. 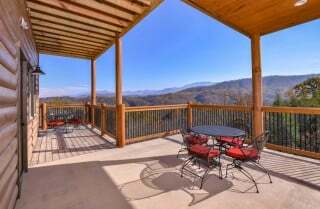 Mountview Paradise even boasts a movie theater and a private indoor pool with gorgeous mountain views that is sure to impress both kids and adults. In the Sherwood Forest community, Mountview Paradise is convenient to the many attractions, restaurants, and shops of downtown Pigeon Forge. 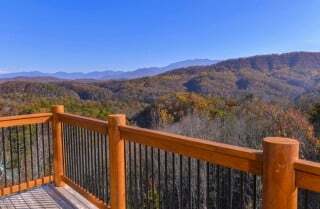 Between community events and tons of attractions, there is something for everyone in your big group. Entertain everyone with dinner shows, Dollywood, The Island, wineries and distilleries, and so much more. 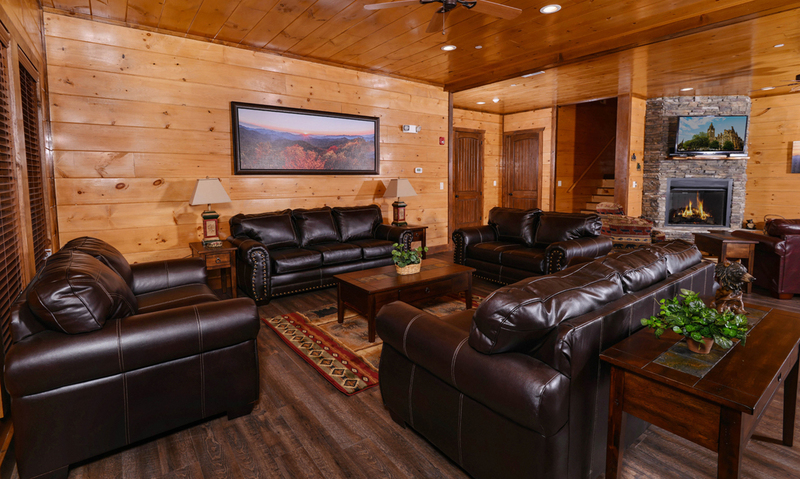 When you want to gather with family and friends and relax, find a cozy spot in the entry-level living room. 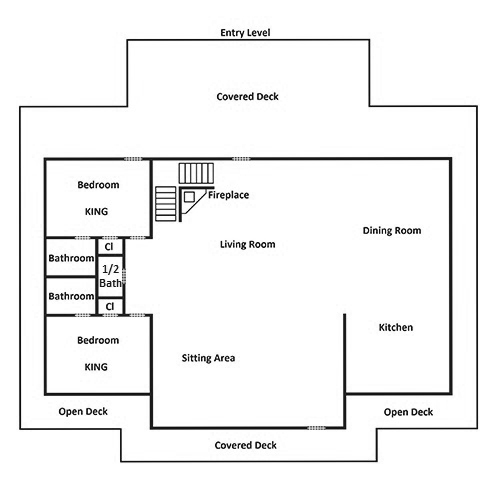 Split into 2 open living areas, it’s great for groups wanting space to spread out. Next to the kitchen, the living room features sleek leather sofas and loveseats surrounding a coffee table and bear rug, perfect for playing games or letting the littles crawl around in the middle while the adults chat. 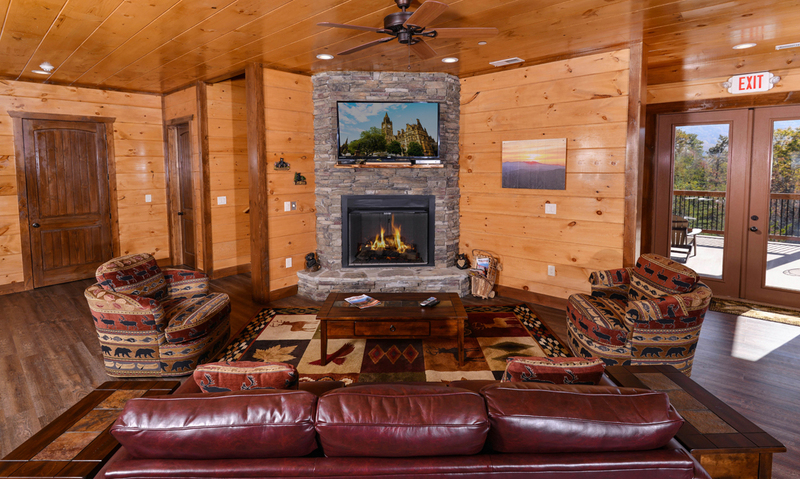 Just steps away, the other living area is the place for cool mountain nights. A stacked-stone fireplace sits in the corner, with a flatscreen TV on the mantel. As you gather on the leather sofa and coordinating chairs, enjoy an inviting fire and your favorite shows or take advantage of the high-speed wireless internet. With 2 living spaces so close, you can seat a group without spreading out too much across the cabin. The beautifully designed kitchen in Mountview Paradise is a space that actually makes you want to cook on vacation. 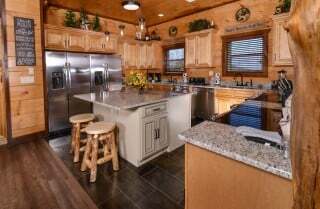 Featuring granite countertops, plenty of counter space for prepping meals, log details and a mix of natural and painted cabinetry, it’s an elegant and inviting spot. 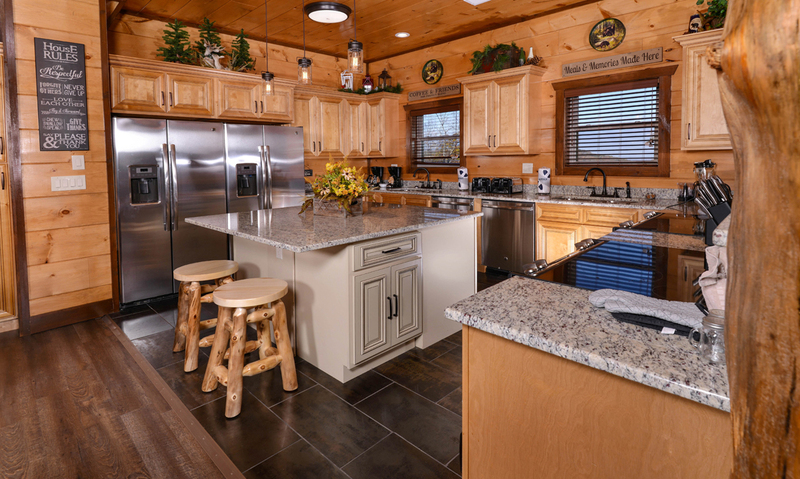 It’s also equipped with the tools and appliances you need to feed a group. 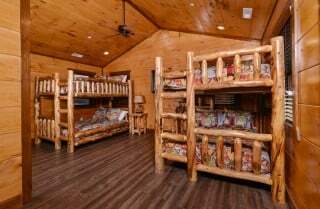 It’s outfitted with 2 refrigerators, 2 stoves/ovens, 2 dishwashers, 2 toasters, 2 coffeemakers, and plenty of knives, utensils, and dishes for in-cabin meals. You can set up a buffet along the breakfast bar, put snacks out on the island, or head to the dining room for a family-style meal. 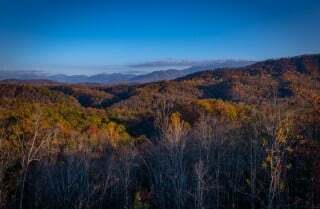 Don’t want to search for a downtown restaurant where the whole group can eat? 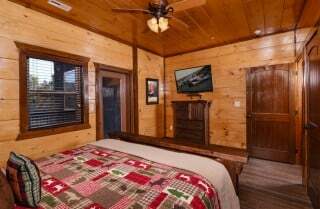 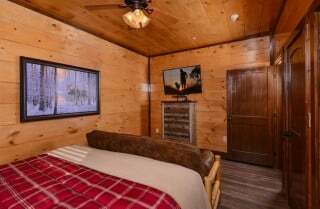 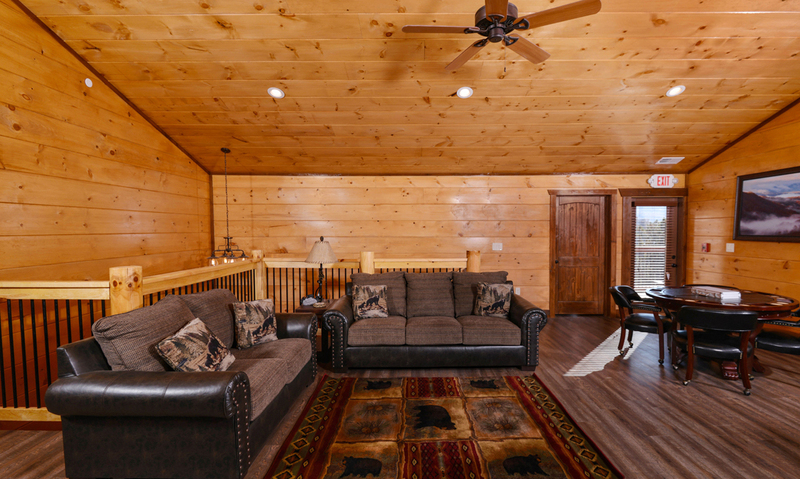 Stay in at Mountview Paradise and enjoy a big meal in the cabin. The dining room features 2 large log tables – seating about 14 each – beneath rustic-industrial chandeliers. 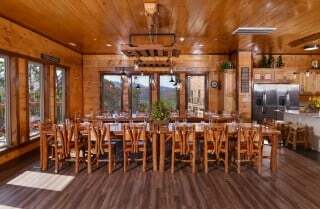 The tables are surrounded by windows, so you’ll have awesome mountain views while you eat – something you won’t get downtown. 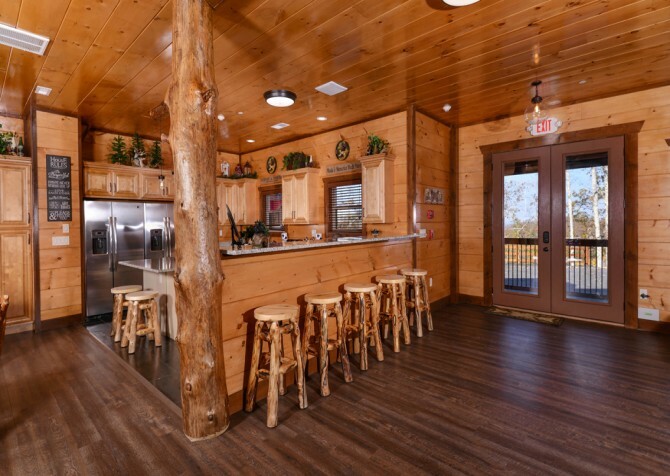 There are more barstools at the breakfast bar and island, and the sofas in the living room offer even more seating space just steps away. With space for 54 guests, Mountview Paradise offers a range of beds for every group. 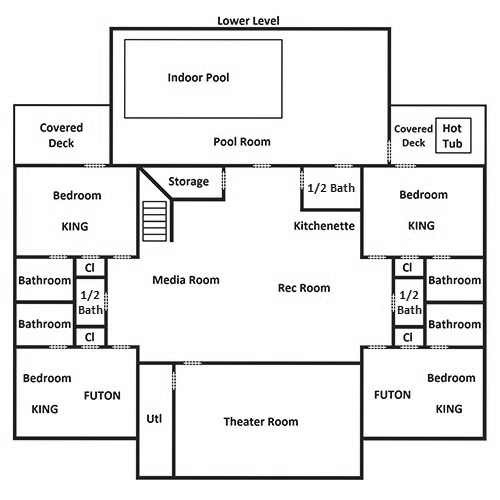 Across the 12 bedrooms. 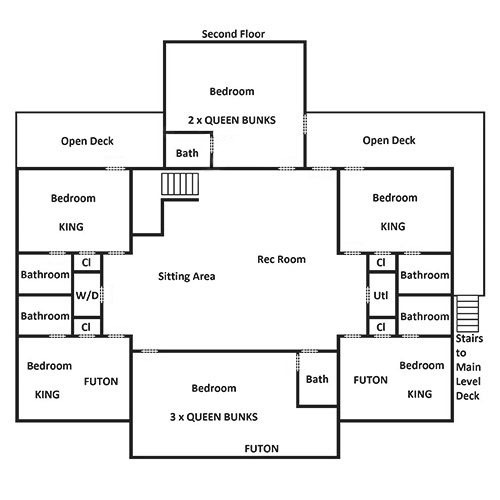 Bedrooms are spread across 3 floors, with 12 full and 2 half bathrooms for plenty of getting-ready space. 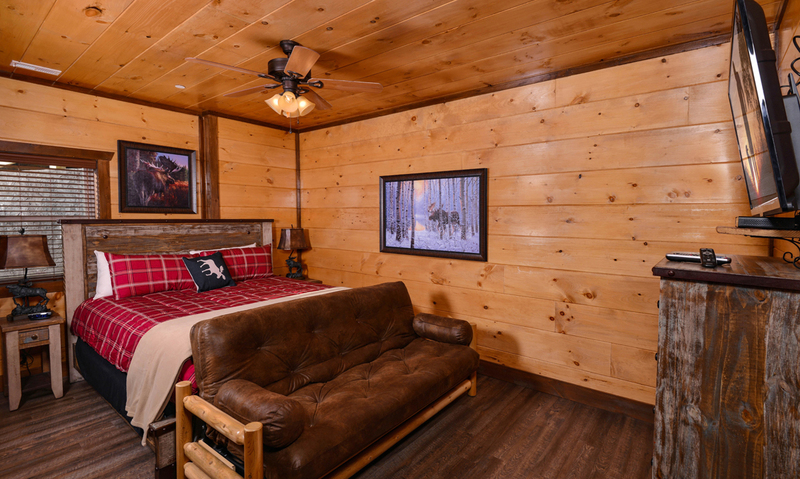 On top of the bedrooms, you’ll find sleeper sofas in the open spaces on the lower level and 2nd floor. 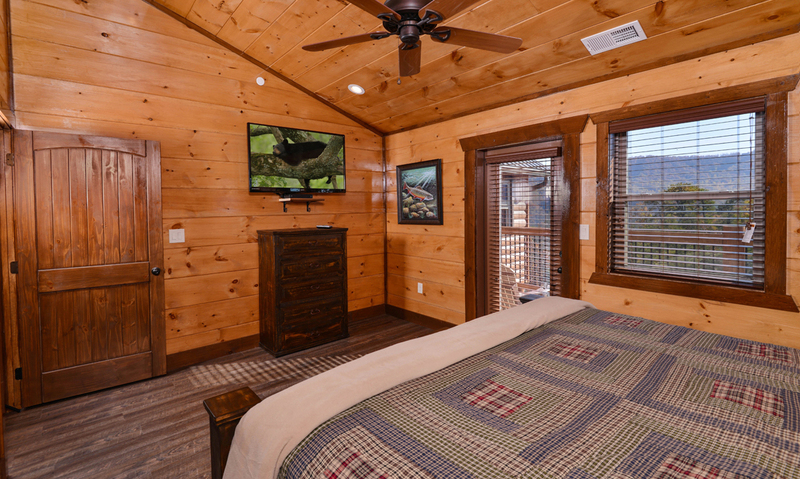 There are TVs in all the bedrooms, and several have easy deck access when you want some fresh air. 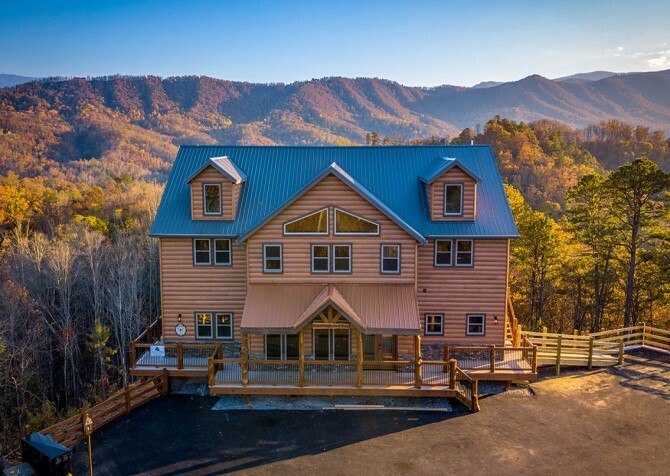 They’ll all be welcome retreats after busy days hiking in the Great Smoky Mountains National Park, exploring at The Island, and playing at Dollywood! Head upstairs to the loft when you’re ready to test your gaming skills and have some fun! 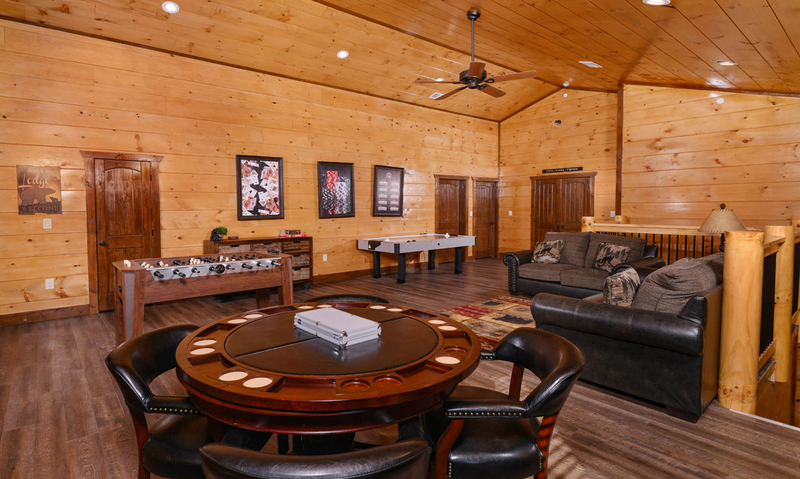 The open space boasts an air hockey table, foosball table, and a card table perfect for poker night. 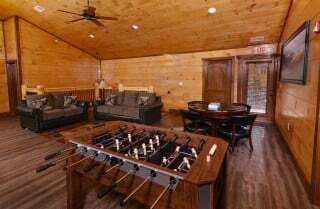 There’s plenty of floor space for kids to play around or put puzzles together, and 2 sofas offer space to relax between games. 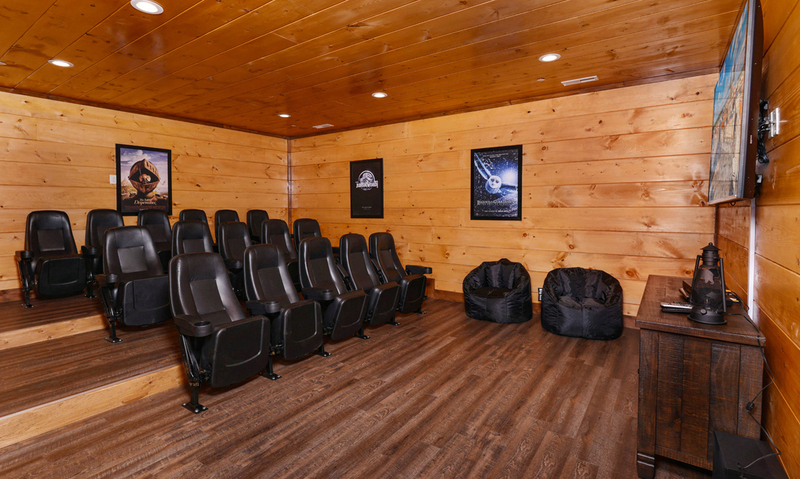 Forget trying to take a group to the movies; you have your own theater in Mountview Paradise! The all-wood room features recessed lighting, movie posters, beanbag chairs, and theater seating for 16 – stair-stepped for easy viewing from every seat. Cozy up with a drink and some popcorn and flip on the big screen TV for a fun night with the group! 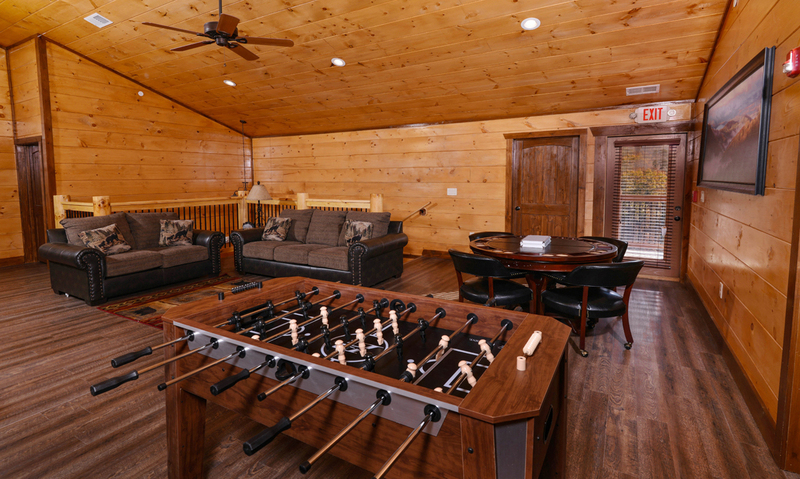 When you’re traveling with a group, you need as many options for entertaining as possible. 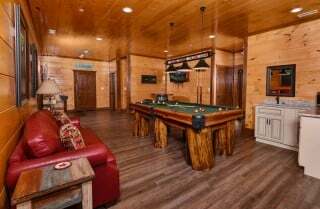 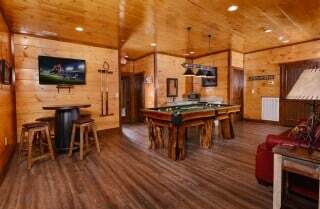 Mountview Paradise offers 2 rec rooms, so you’ll have plenty of space to play. The second rec room features a pool table, billiards-style décor, a barrel-style table for cards and drinks, a unique arcade console with a huge screen, and a big screen TV. 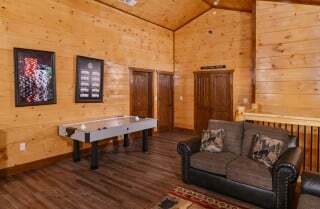 You can play around, kick back on the couch, or pop some popcorn and grab a drink out of the mini fridge in the wet bar here. 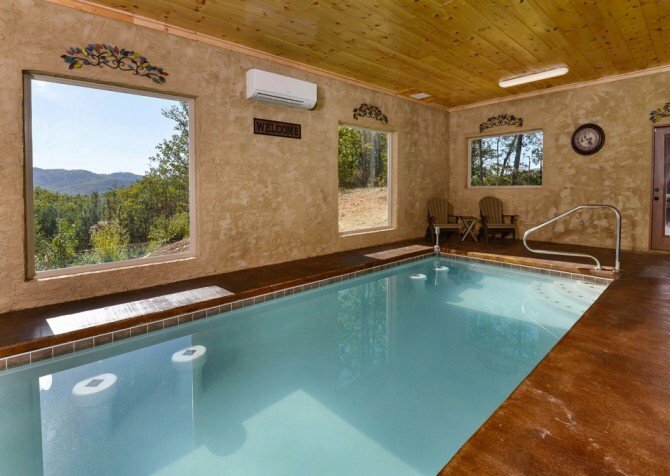 Splashing around in the community pool of Sherwood Forest is fun in summertime, but what about the rest of the year? 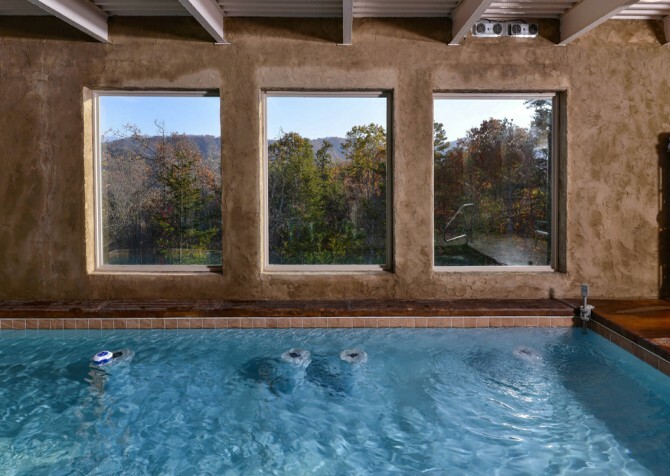 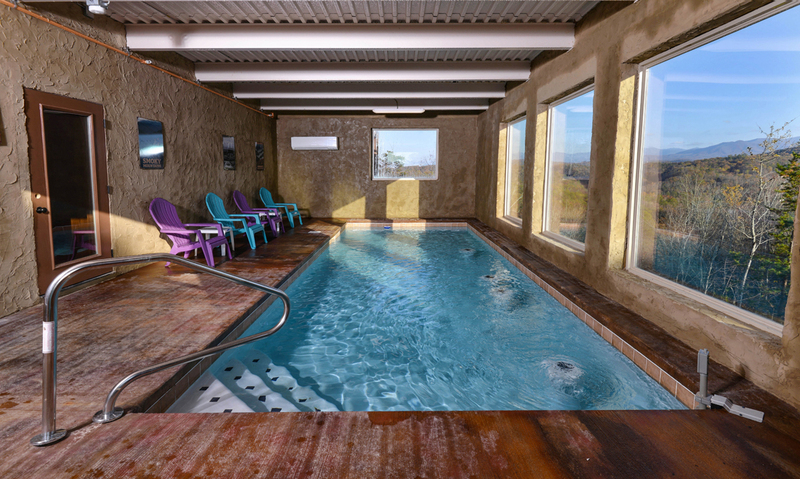 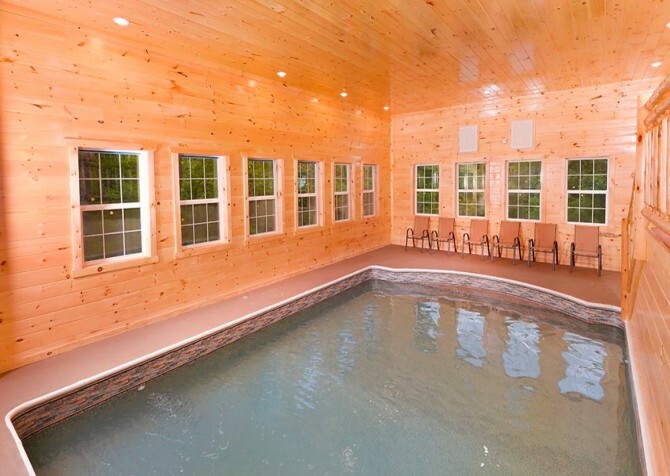 No worries – Mountview Paradise boasts a private indoor pool to keep everyone happy year-round! The beautiful space features seating, huge windows that let in lots of natural light and showcase stunning mountain views, and a pool perfect for laps or splashing around. It’s even stocked with an impressive amount of beach towels, so you won’t have to pack all your own! What is a trip to the Great Smoky Mountains without time spent in the great outdoors? You’ll have plenty of deck space at Mountview Paradise, where you can finish days soaking in the soothing hot tub, sip your coffee in the Adirondack chairs in the morning, sit down for breakfast at the tables spread across the deck, and just enjoy the awesome mountain views from the comfort and privacy of your own Pigeon Forge cabin. Mountview Paradise was made to keep groups happy, from entertainment to conveniences you enjoy at home. 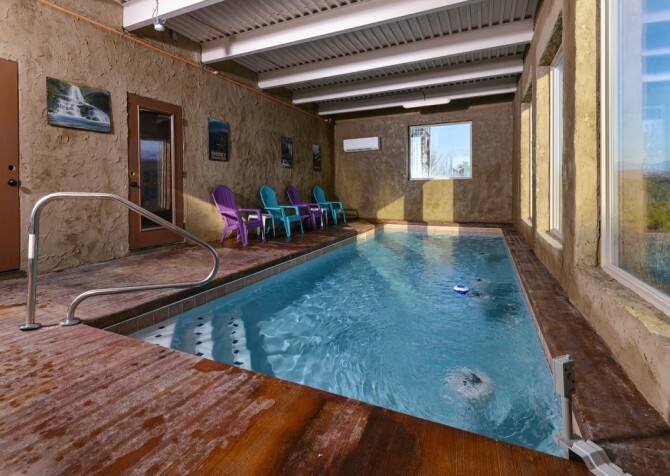 Along with all the fun vacation perks, you’ll have a washer/dryer so everyone can pack light or wash towels after swimming, a charcoal grill for cookouts, and a flat driveway that makes arrivals that much easier. 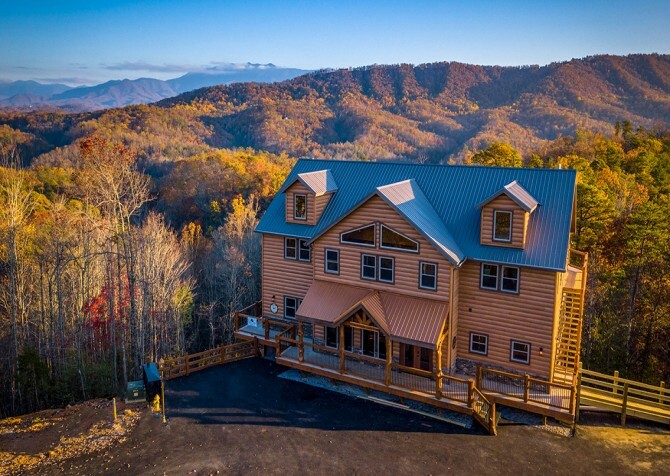 Ride roller coasters, watch shows, dine on Southern favorites, treat yourself to sweets, and play carnival games at this family-fun attraction in Pigeon Forge! 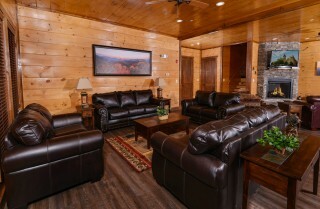 Plus, it’s great for groups with people of all ages! 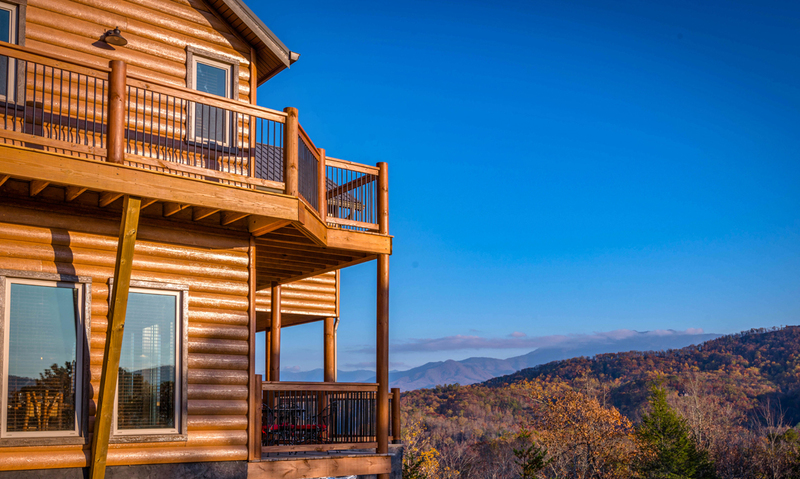 Browse the boutique shops, try to break out at The Escape Game, try the ropes course, let the kids ride the train, grab a bite to eat, ride the Great Smoky Mountain Wheel, sip moonshine, and watch the show fountain dance at The Island in the heart of Pigeon Forge! 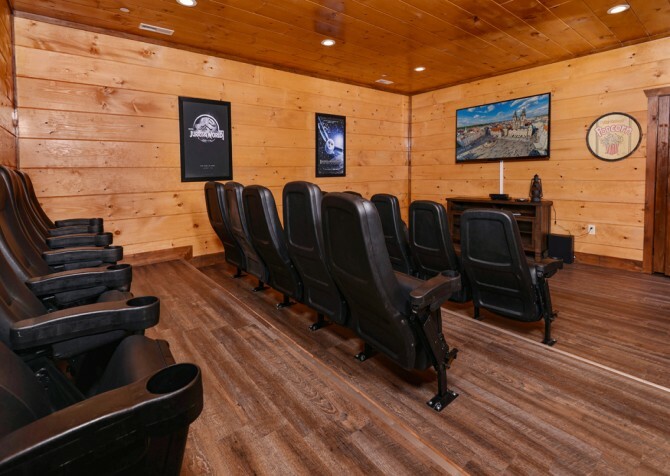 This touching and unique attraction is an immersive experience, allowing you to tour the rooms of the RMS Titanic, get to know more about the passengers and crew on that fateful journey, touch an iceberg, and more! "I must say I am beyond thankful that we chose to stay at Mountview Paradise. My family and I had an amazing time! We have never experienced anything so beautiful. 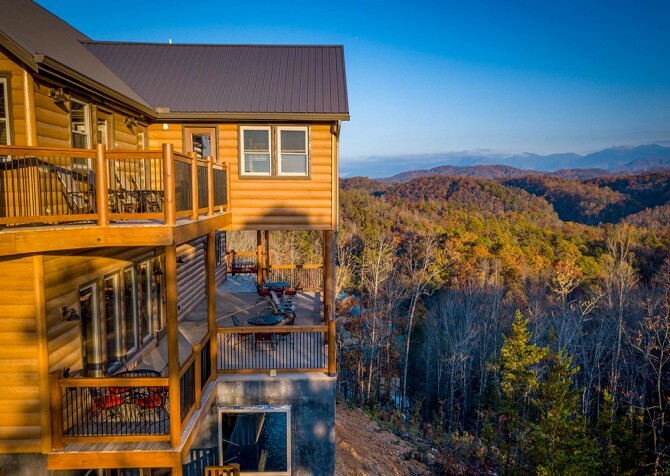 Thank you for allowing us to make such beautiful memories with our family on Mountview Paradise! We will definitely be back!"